Alice Green was one of seven children born to Robert Green and Anne Pamplin Stacy. She grew up in London, at 8 Ladbroke Terrace, Kensington. 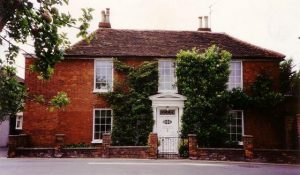 In the various census records, her father was described as an upholsterer in 1861, a gentleman in 1871 and ‘house property and funds’ in 1881. Alice was married on 28 October 1884 at St Peter’s, Notting Hill. Her husband, Ernest Charles Mumford was an insurance underwriter at Lloyds. 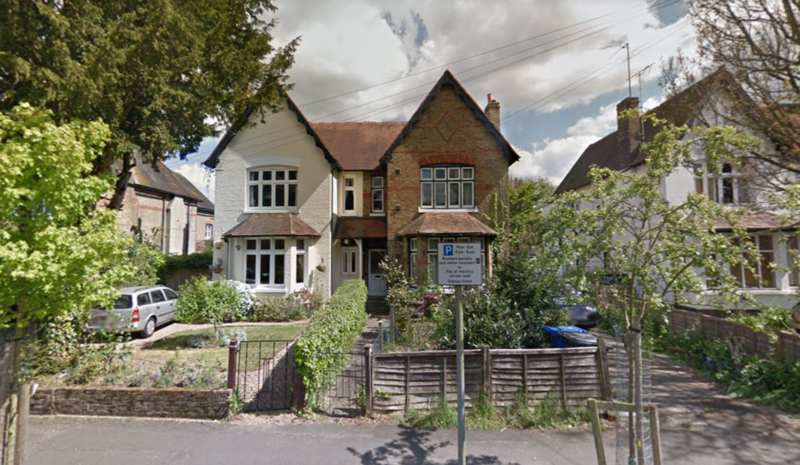 Alice and Ernest lived in London after their marriage, at Grove End Road, Marylebone, but by 1895 they had moved to Datchet and were living in The Avenue. The 1901 census listed them at 3 The Avenue with a cook and a housemaid but Kelly’s and Marshall’s Directories for 1902, 1903, 1904 and 1905 list them next door at 4 The Avenue (later the home of Ronald Brakspear, followed by ‘Leslie’ Nugent, both remembered on Datchet’s WWI memorial, then Leonora Churchill and her sister Florence Lewis.) House numbers on The Avenue have changed, the pair of semi-detached houses shown were numbers 3 and 4, they are now 5 and 7. By 1907, Alice and Ernest had moved to Goodwyn House in the High Street. The 1911 census recorded that they had been married for 26 years and had no children. They were living with four servants, and their five-year-old nephew was staying with them. 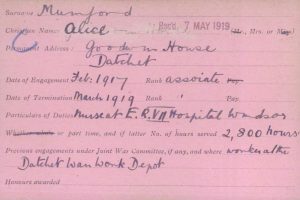 Alice worked, from October 1915 to February 1919, at Datchet War Work Depot, clocking up 3000 hours. 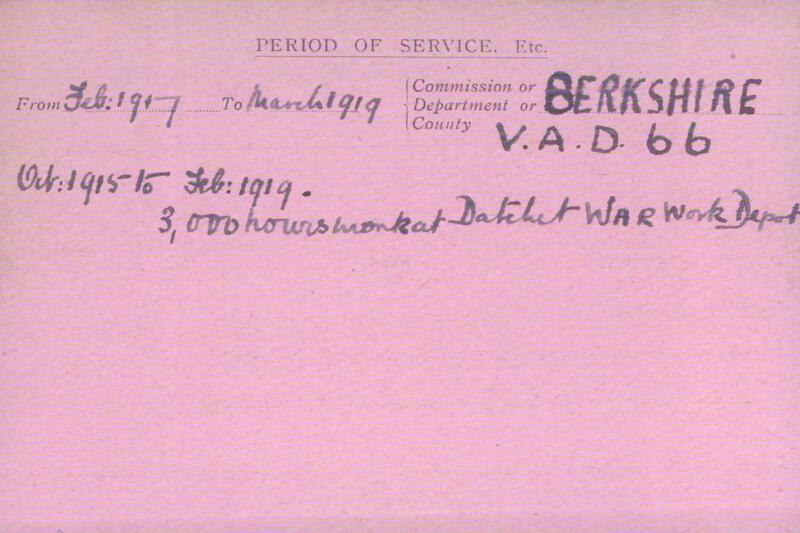 War Work Depots were established in every major town to collate and despatch clothing from the working parties. Surgical stores were also created to organise store supplies including sphagnum moss, chloroform and ether. 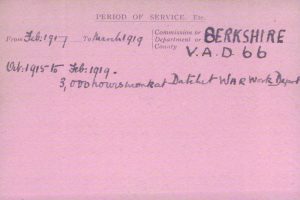 From the depots, items were sent to the Red Cross headquarters or directly to soldiers in auxiliary hospitals at home or abroad. 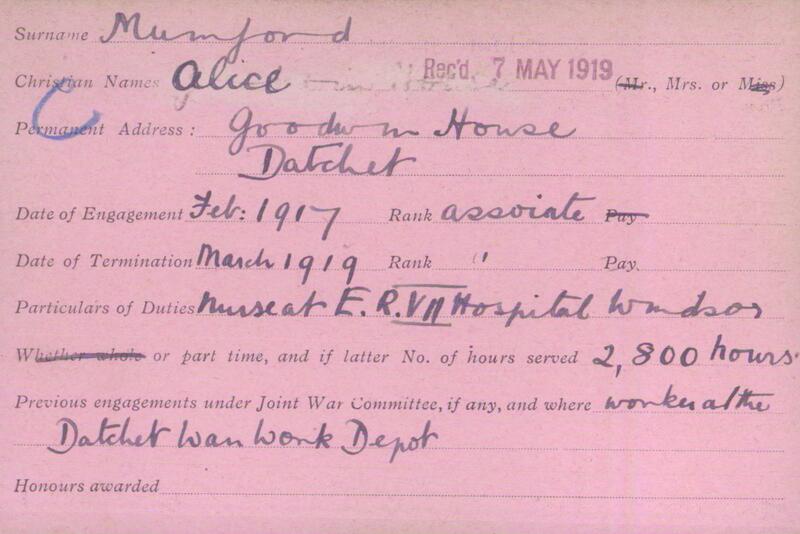 Alice also volunteered from February 1917 to March 1919 as a nurse at Edward VII Hospital in Windsor for 2800 hours. Her rank was listed as ‘Associate’. 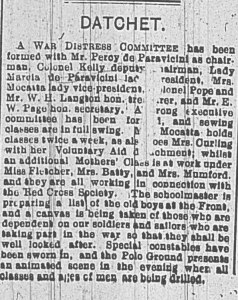 Alice’s name appears frequently in the local press. 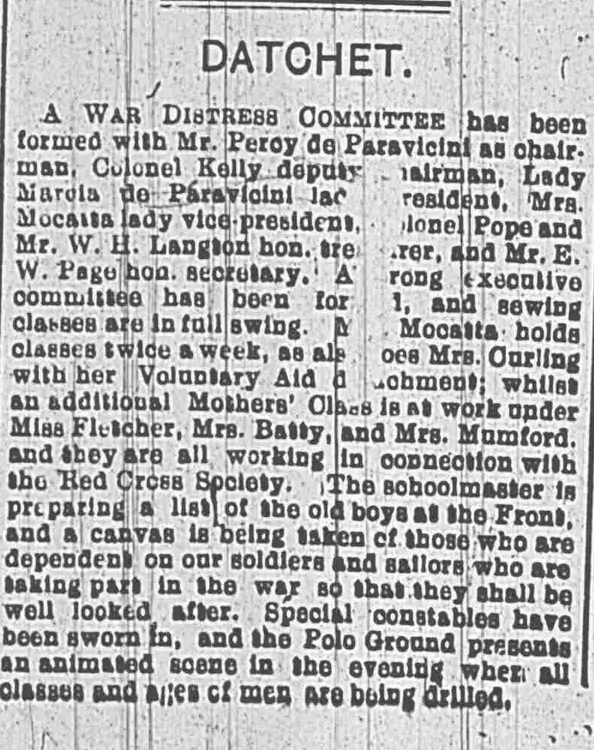 In August 1914, the Slough, Eton & Windsor Observer reported that a Datchet War Distress Committee had been formed with a strong executive committee. 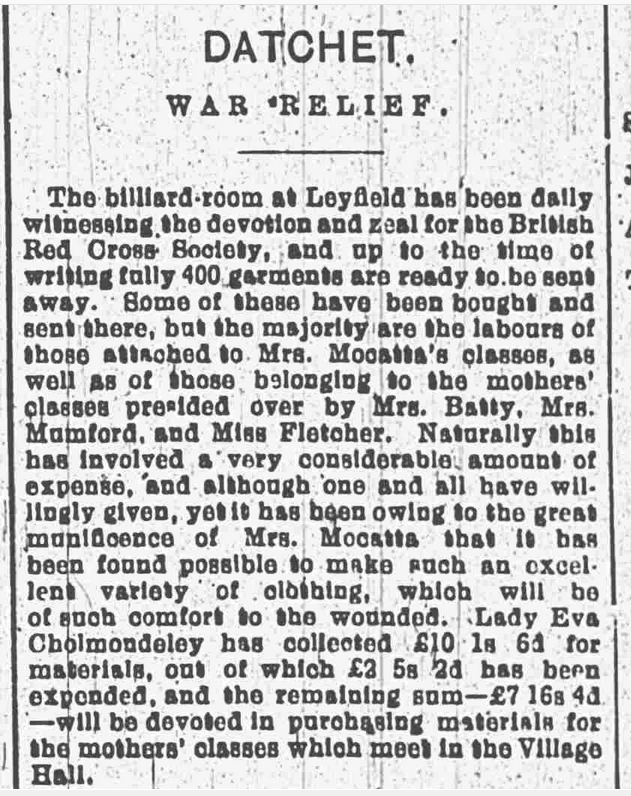 Sewing classes were being held by Mrs Mocatta, Mrs Curling was running her Voluntary Aid Detachment, and Alice Mumford, Mrs Batty and Miss Fletcher were running a Mothers’ Class, all in connection with the Red Cross Society. 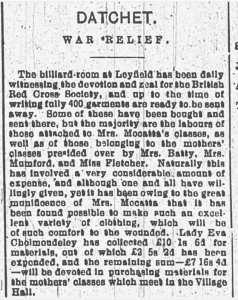 In September, the paper reported that the billiard-room at Leyfield, the large house now known as Swan Court on the corner of Southlea Road and The Avenue, was being used for collecting and packaging clothing to send to the Front. Some items had been bought but others had been made by Mrs Mocatta’s sewing group and the mothers’ classes run by Mrs Mumford, Mrs Batty and Miss Fletcher. Alice continued to work with the Mothers’ Union. 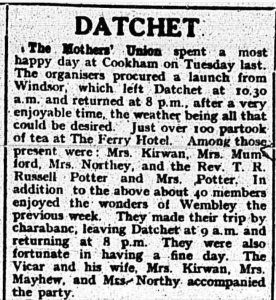 In 1925, the Slough, Eton & Windsor Observer reported that the Mothers’ Union had organised a trip to Cookham, having visited Wembley the previous week. 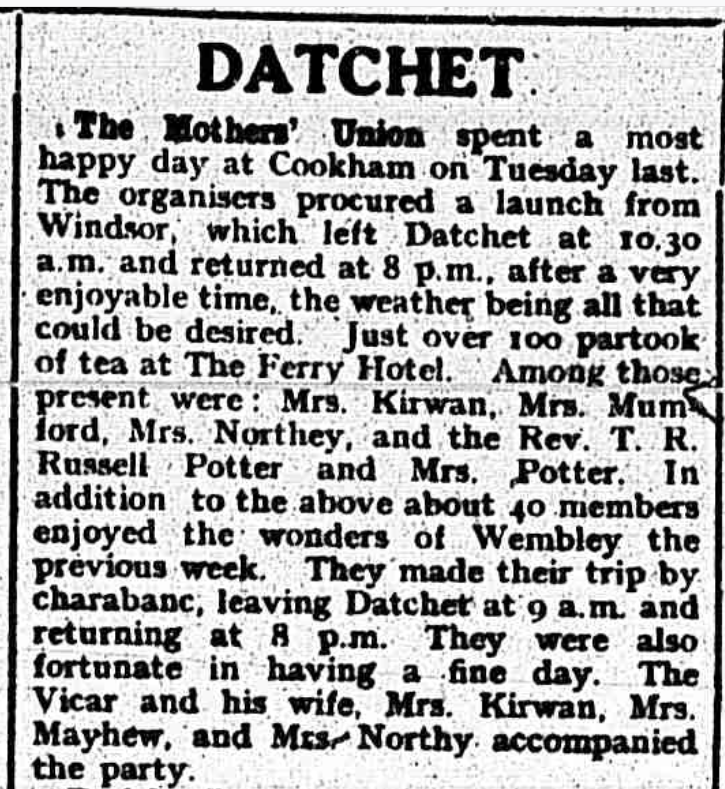 And in August 1927, the paper reported that the Mothers’ Union annual tea had taken place in the gardens of Goodwyn House. Ernest died in 1938, leaving £145,000 in his will. Alice continued to live at Goodwyn House until her death in 1957, aged 97. It is now a listed building.